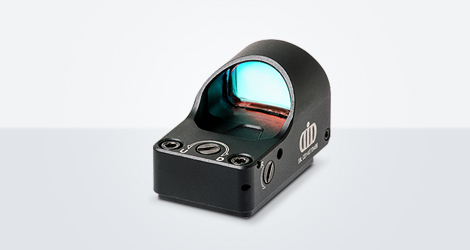 The versatile MDS-17 can be mounted on almost any firearms including handguns, shotguns and rifles as well as mounted as a secondary or primary optic on many existing optics. The automatic brightness mode ensures a crisp and clear dot in any light condition. The MDS-17 with its water resistant CNC machined 6061-T6 aluminum housing is compact and light weight but still rugged enough to withstand the punishment from high recoil firearms. The top load battery compartment allows battery replacement without losing zero. 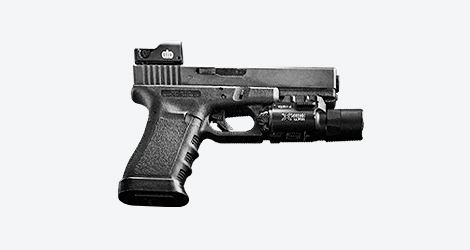 Optional mounts include dovetail mounts for most major handguns, and a MIL-STD 1913 rail mount.